If you have started the application or thought about becoming a foster parent in Pennsylvania, you have probably heard about the home inspection process. A home inspection is actually one part of your “home study,” where an adoption agent looks into your ability to be an adoptive parent and also makes sure you have a safe place to raise a child. Before you can legally accept a child in need into your home, you must pass this home study. Preparing for the home inspection can be very nerve-wracking, as you have already done so much to become a foster parent and do not want to be disqualified. FCCY compiled these tips to help you prepare for the home inspection process. The most important thing to keep in mind is that home inspectors are checking for safety above all else — they are not judging the decoration, color-scheme, or curb appeal of your property! This list is not conclusive; so, if you have any concerns about your home study or becoming a foster care parent in Pennsylvania, feel free to contact FCCY with any questions! Because the home inspector is concerned with safety above all else, they will certainly look for working smoke detectors, carbon monoxide detectors, and fire extinguishers. A good rule of thumb is to have a smoke detector in every bedroom in the house. In terms of these important safety features, the more the merrier is a good rule of thumb for home inspection. Make sure you have working batteries in all of your detectors (that you check every three months) and that you have fire extinguishers accessible on every floor. While “anything dangerous” is broad, there are a few main categories that home inspectors look for when it comes to dangerous items. Consider cleaning supplies, firearms, medicines, alcohol, sharp tools and any flammable items as dangerous. These items must not only be stored, but also locked and inaccessible to children. If you do not have one already, buy a lock or lockable cabinet for these items. You can also check a foster home safety checklist for more detailed information about what constitutes “dangerous,” but this is a good place to start. If you have lived alone or with adults, you might have never considered having plans in place in the event of fire or emergency. When you become a foster parent in Pennsylvania, though, you will be expected to articulate emergency plans you have for your home, including fire escape routes. Additionally, you should post emergency numbers by a working telephone for an added layer of protection. Even if your home is one-hundred percent safe and ready for home inspection, going through the process can still be overwhelming. To make sure you are prepared for the questions your home inspector might ask, do a run-through with someone you trust and who knows you. This way, they might spot dangerous items you had not considered or ask you questions you had not been fully prepared to answer. 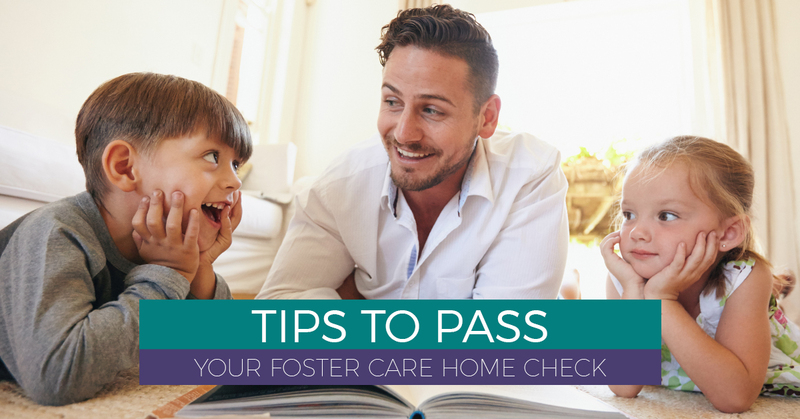 Practicing, even with yourself, can eliminate these jitters and make the home inspection process more enjoyable, getting you one step closer to becoming a foster parent in Pennsylvania. You could read hundreds of checklists and articles about the foster care home inspection, but nothing will prepare you more than talking to someone who has actually been through it. 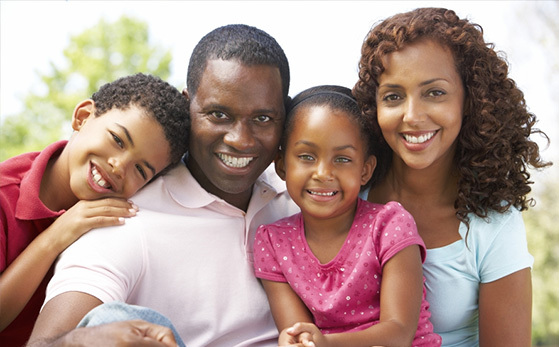 Get connected to other foster care families in your community to speak through how their home visit went, what questions they were asked, what they would have done differently, etc. You have resources to assist you through the process, so be sure to reach out to people as you can. You are not alone in the process of becoming a foster parent! Work with a local family-based service that knows the foster care system inside and out, including how to help you become a foster parent. Because there are more than 25,000 children in Pennsylvania living without a family member, there are family service agencies designed specifically to support foster care parents. Take advantage of these services! FCCY supports people hoping to become foster parents in Pennsylvania. Call us today to learn more about our services!